Author Bio : Anand Rajendran is the Co-Founder and CEO of Zoplay a well-known Software products development and Mobile App Development Company based in Chennai, India. He has extensive experience in building and leading innovative and collaborative software development teams to deliver major software applications like Zobay an Ebay Clone script developed by Zoplay. He loves exploring new things and sharing his knowledge with others. eBay the American multinational e-commerce giant provides sales services for business and also to consumers over the internet. The company’s headquarters are located in San Jose, California. It was started by Pierre Omidyar in the year 1995 and became quite successful during the dotcom bubble. At present, it is a multi-billion dollar company having the presence in around 30 countries across the globe. The company has a mighty task ahead of it that is to prove itself as a leading e-commerce company. With so many e-retailers in the web scene, the company is trying to innovate itself to capture some of its lost markets. Things are not looking good for eBay after it's split up with the payment giant PayPal the previous year. The company had poor earnings after the important holiday season. However, the CEO of the company Devin Wenig detailed his plans in the Goldman Sachs Technology and media conference in San Fransisco. He said that they will be looking at their more like a retailer rather than a technology site. The company has almost 800 million products for sale. A few years back eBay was the platform which served as the auction spot for antiques and rare items, used clothes and cars. However, in the past five years, they have moved to products like electronics and cars at fixed prices. But now the company has been planning to go to the mighty amazon. Anybody on internet with a motive to sell first reaches Amazon, eBay wants to disrupt this and is trying to establish itself as the first choice of online customers. The company with a 20-year long history is trying to make changes to the structure of the website. According to the CEO of tyre company the brilliance of eBay lies in the fact that it sells so many items but somehow it also tends to be complicated. All these years when a user needs to search for a particular product he or she has to hit the search box which will fetch them hundreds of results so it wants to simplify this. The huge number of search results is comfortable in case of a laptop or computer but this is not so comfortable when it comes to mobile screens. The company will provide with better search results and help customers reach their desired product easily. For example, if you are searching for an iPhone over eBay, you will be given a list of best value and brand new and similarly structured categories. The users will not be bombarded with the list of every iPhone. The company is also encouraging its customers to post more detailed reviews to boost the quality of the products sold and also simultaneously increasing the quality of the site. eBay is following Amazon’s footsteps by providing better tools and data to its registered sellers which in turn will help them grow their business. Amazon has seller’s coach which will guide the sellers about which of the products are doing well and which are not. Also, it provides details on how to price items and how to increase or decrease based on market trends and prices of similar items sold. CEO Devin Wenig also said the year of 2016 was also about making things simpler than before. He also emphasised the need to have better search rankings in Google. The website has lost a lot of its organic search due to the Google Panda 4.0 update. The company even lost its position in the top 10 websites ranking which pushed their revenue down. Given the amount of historical data the company has the drop in rankings is huge. The SEO process for the company has to be revamped and gain back its rank. According to certain sources, this has cost eBay around 200 million dollars. Thus the company is thinking to invest in paid search results and more pressure on marketing to gain back their lost market. So the company now is planning to have more products for sale for a longer duration rather than having the sale for a fixed period of time. But one specific area where eBay cannot emulate Amazon is shipping and logistics. Amazon has been building its own logistics and creating a fleet to take on FedEx and UPS. Wenig openly appreciated Amazon’s logistics quoting that the last thing they should be trying is to compete against their logistics. However, he said he had a liking towards “Uber Rush”. It is the ride-sharing giant’s newly built delivery service. Apart from shipping and logistics the company is trying to take head-on with Amazon and is expecting a healthy growth. However, this is not the end of the story despite saying that the company is not going to succeed in having the best shipping and logistics it is not accepting its defeat and has recently purchased UK-based start-up “shutl”. The company specialises in same day delivery and in the past one year has been expanding itself in the US market too. 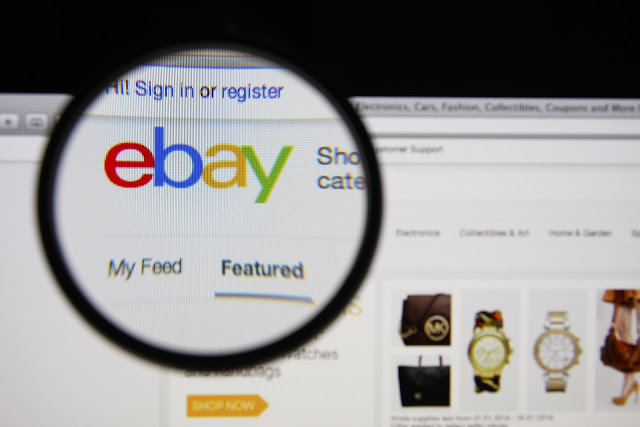 This deal should give eBay the much-required infrastructure to expand establish its same-day delivery initiative eBay now, which is often criticised for not being a service that meets the customers’ expectations. The price of the deal has not been made public. eBay now, has drivers who pick up customers orders at retail stores and are bound to deliver within an hour. Shutl is a web based company and marketplace for end-to-end delivery companies. Couriers list the type of vehicle they use which can be anything from the bicycle to a truck along with the vehicle’s capacity, the places they can offer to deliver, the timings they will be available to make a delivery. Most retailers pay Shutl to integrate its application programming interface (API) with their websites and applications and provide customers with the option to use it as their delivery option. The e-commerce giant will now launch eBay now in Chicago this will be the first city it will enter along with Shutl courier network.